Innovative solutions combined with user friendly design results in haulers that are powerful, quick to mount, foldable and easy to store. NorthLift® is balancing every aspect of long lasting marine equipment by using only the highest quality marine grade materials. Anodized aluminum combined with 316L stainless steel and industrial strength nylon makes our marine haulers into work horses which endure all rigors of operating at sea. NorthLift Electric Line Haulers - are easy to operate and easy to store. The haulers are mounted on the NorthLift Twin Mount Bracket and with their foldable design mounts in seconds and require minimum space when not in use. The only thing permanently fixed on the deck is the nylon bracket which also comes in several different colors. NorthLift Hydraulic Haulers - are designed to be able to withstand wear and tear. A combination of cast aluminium, stainless steel and industrial strength nylon makes our hydraulic series into long lasting haulers. They are available on a davit arm or a rail mounted arm. The hauler mounting brackets makes it possible to install the haulers on all types of boats. 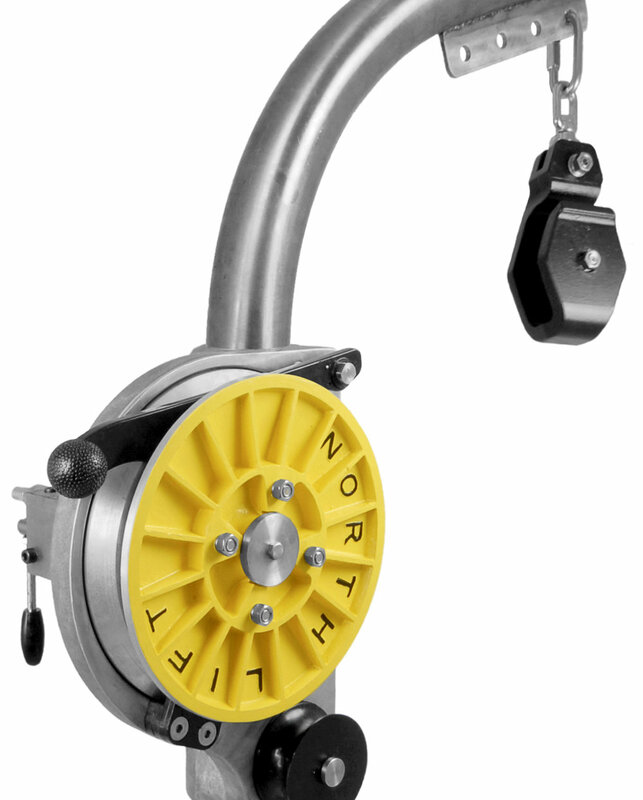 The manual line hauling arm from NorthLift is designed for aiding the pulling of lighter single traps.